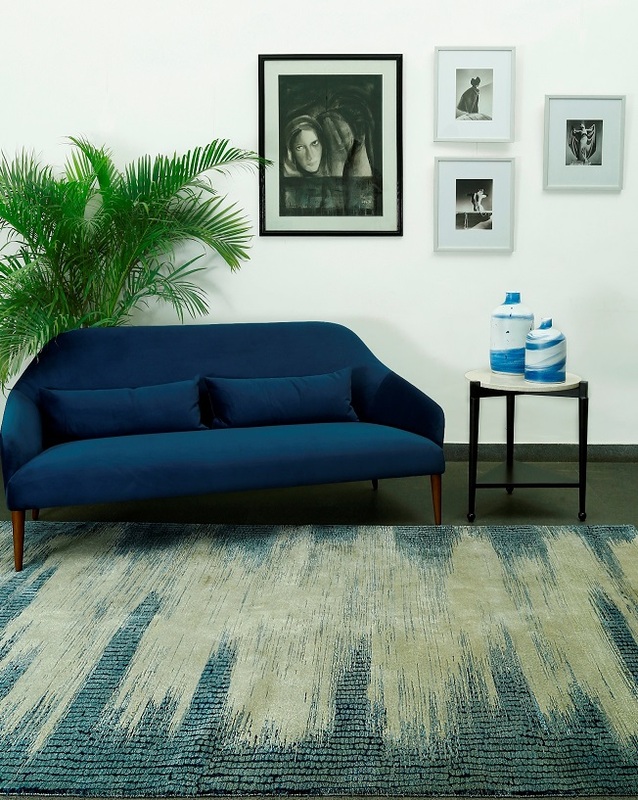 A rug-making company that weaves 100 years of Indian history into its carpets, Obeetee was originally founded as Oakley, Bowden & Taylor in Mirzapur, Uttar Pradesh. Taking pride in its philosophies of ethical craftsmanship, enterprising designs and traditional processes, the firm soon found itself appealing to the whimsies of personalities like Her Majesty, Queen Elizabeth II, Pt. Jawaharlal Nehra and Amitabh Bachchan. Having designed home accessories for brands in the past, what’s different about your collection with Obeetee? Our collection for Obeetee’s ‘Proud to be Indian’ series has definitely made us more appreciative of India’s heritage textiles as an invaluable resource for Indian designers. When we were approached by the manufacturers, we were quite excited to collaborate with India’s finest carpet weaving company. Focusing on combining the carpet-weaving skills of India with an indigenous design sensibility was both challenging and timely. 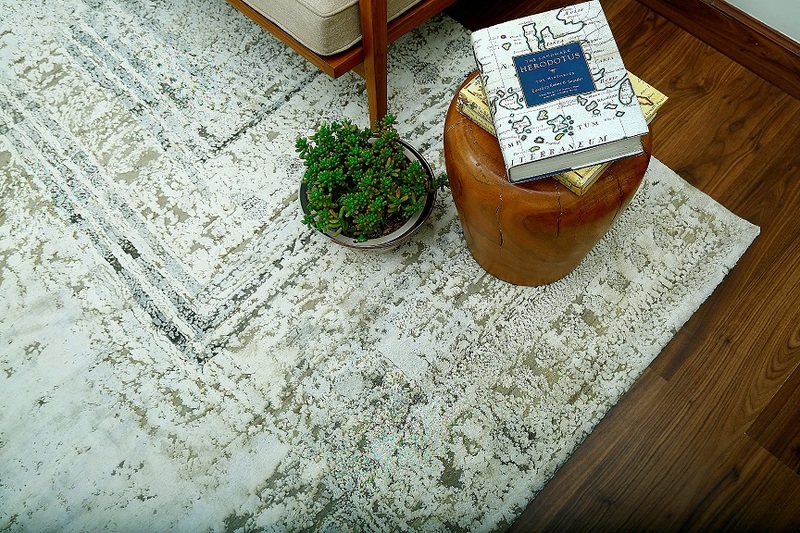 Though we have worked extensively with the development of handwoven textiles in the past, being given the opportunity to design hand-knotted carpets was a first for us. Our design sensibility has always been inspired by traditional crafts. We were naturally drawn to the textile language and vocabulary of India. 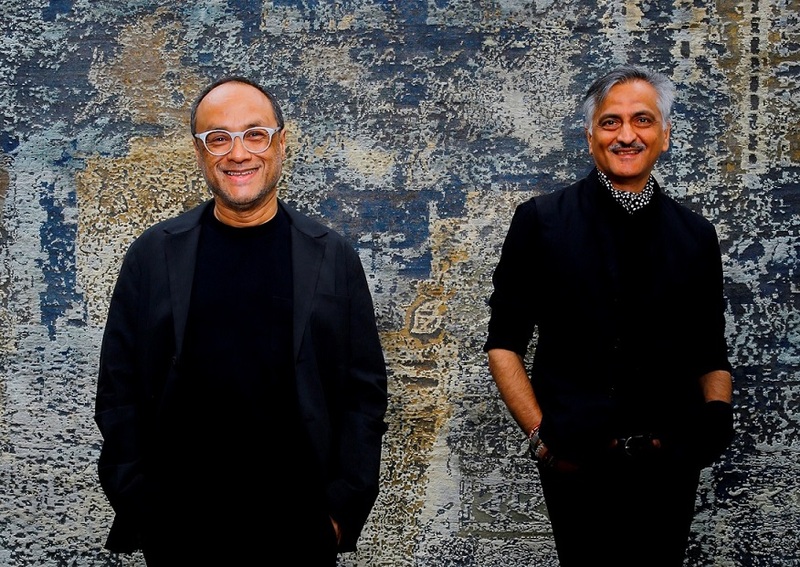 Being cognisant of the strong Persian and Central Asian design language of most carpets, we wanted to propose a vocabulary that was drawn from some of India’s own traditions. We looked at the bandhani textiles of Western India, the Ikats of Pochampally, the block-printed traditions of both Rajasthan and Farrukhabad and the diverse saree-weaving patterns from Kanjeevaram for insights. The calligraphy collection, however, was the result of a serendipitous discovery of old handwritten letters. 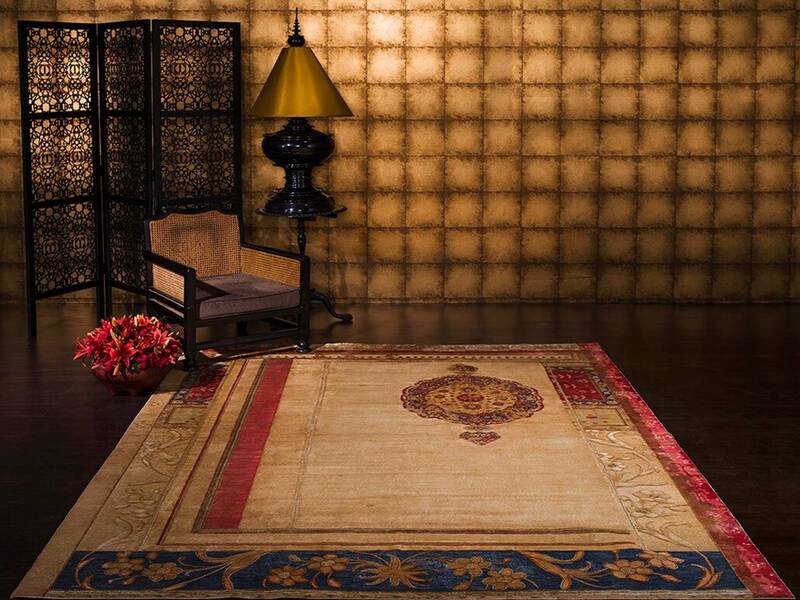 All the carpets you see have been hand-knotted using different yarns like wool and silk. While we developed forms and patterns to create individuals surfaces, we were also looking at creating muted and washed-out effects to evoke a kind of nostalgia. This was achieved by using Obeetee’s various complex finishing techniques, ultimately producing a finish that elevated the woven product to a whole new level. How much of your fashion sensibility will we see in this collection? 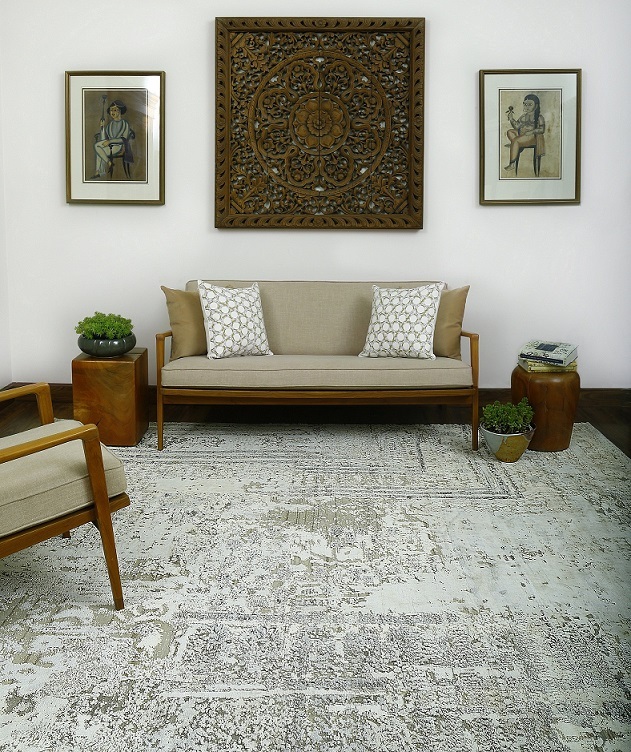 Each piece from the collection continues the exploration of developing a quiet and modern design voice, simultaneously drawing on the rich traditional vocabulary of Indian design and craft. We’ve played with techniques and new structures to develop modern, simplistic designs that allude to our heritage, much like we do for our ensembles. With our background in textiles, we are often inclined towards creating designs that bring the various techniques of weaving, dyeing and printing to the forefront. 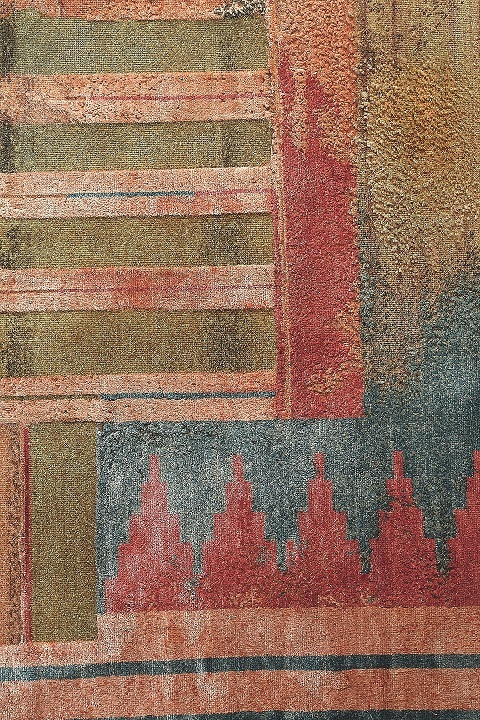 We’re always looking for textures and patterns that capture some of these techniques so we are slightly partial towards the Maheshwari and Sanganer carpets. Ikat has a very specific graphic quality that we have used to create some of the designs. 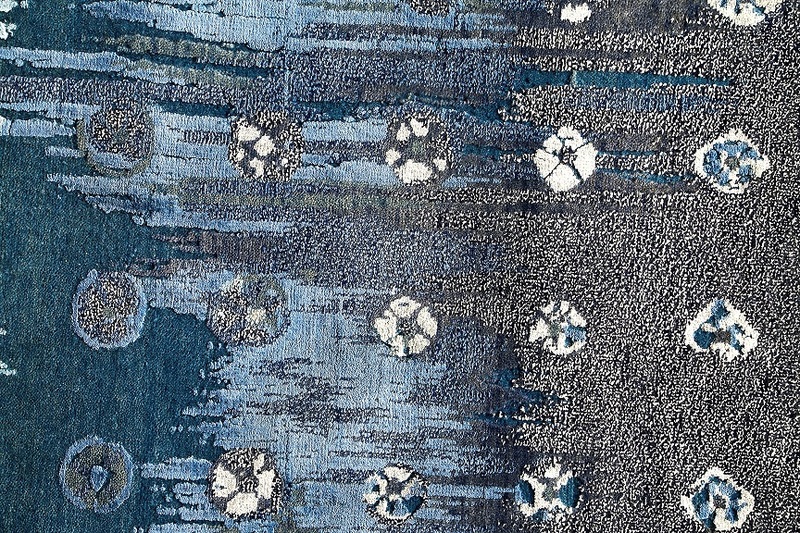 It creates a brushstroke effect that has always fascinated us so we have tried to capture some of it in our carpet designs by manipulating the techniques of hand-knotting to imitate those of textile resist.